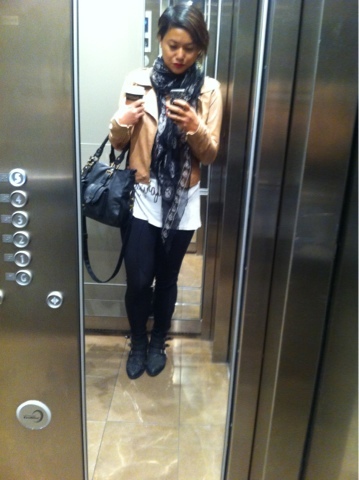 Freezing cold, still battling the flu - this was yday in the work elevator lol. Jacket -White Suede; scuba pants - Dylan & Rose; tank - Harmony; bag - Tony Bianco. It's a cape a gumboot kinda day.